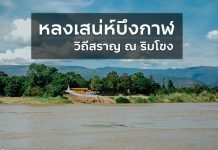 To those who are not familiar with the latest province in the northeast of Thailand, Bueng Kan sounds like a very dry area. In fact, it’s not. The province is full of water and freshness. 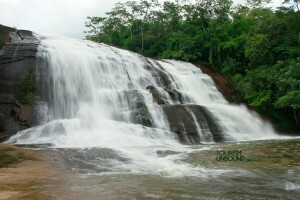 It wouldn’t be wrong to say it’s a real “water” province with a lot of waterfalls with high water that lasts till end of October. 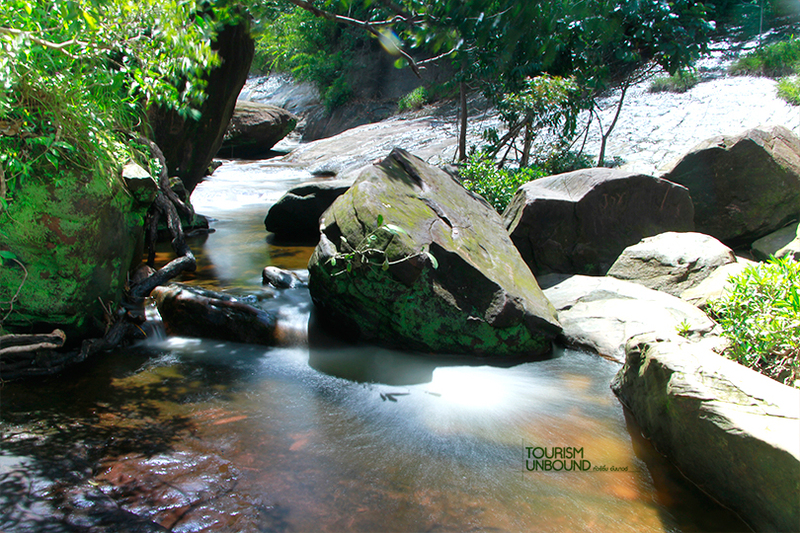 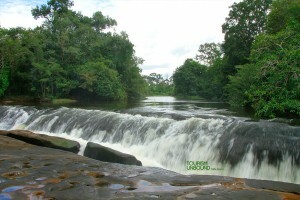 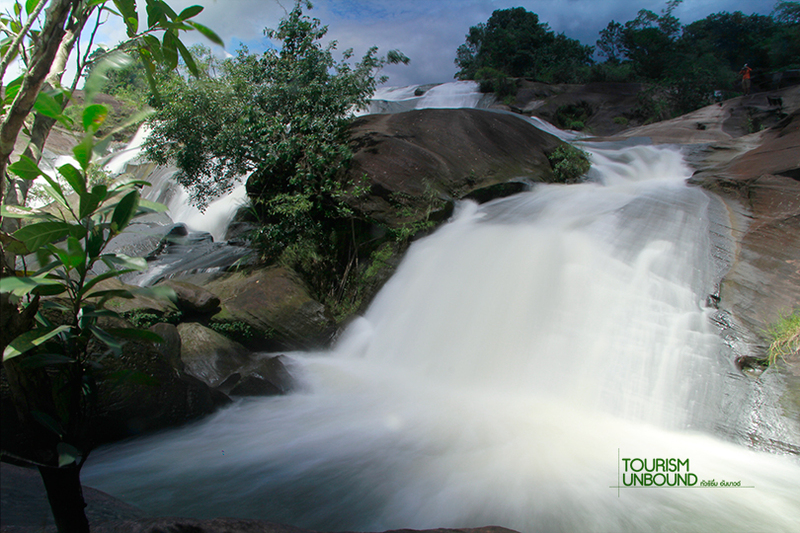 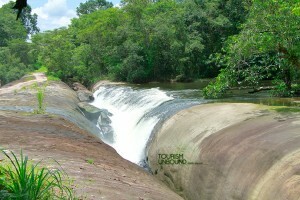 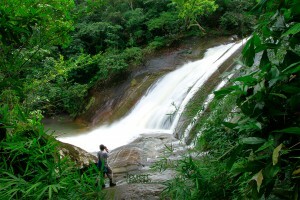 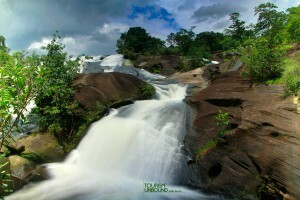 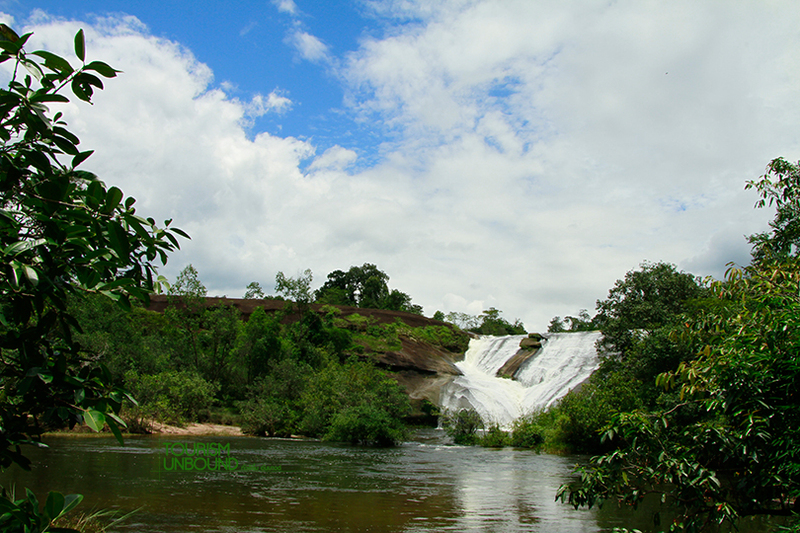 Beautiful waterfalls are in the Phu Wua Wildlife Sanctuary. 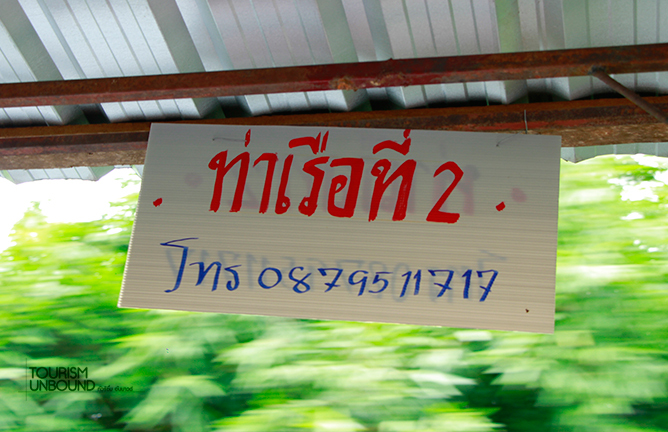 We headed out of the city along the highways No 212. 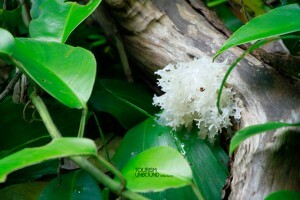 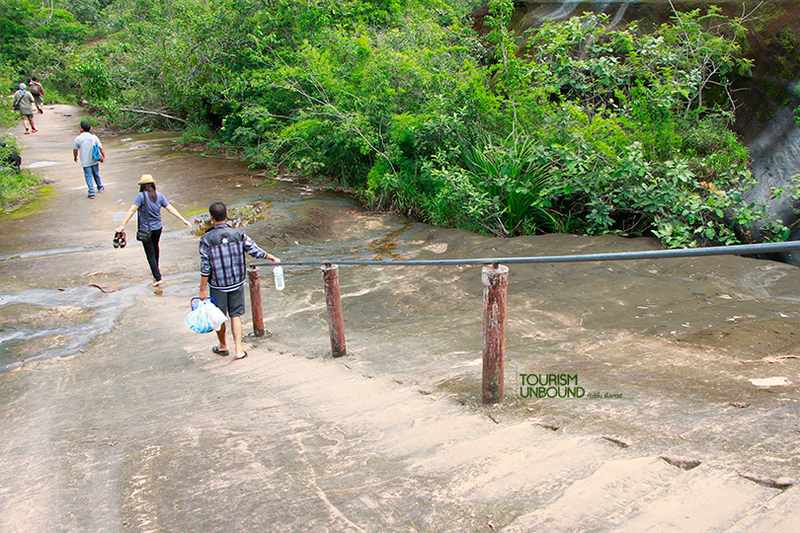 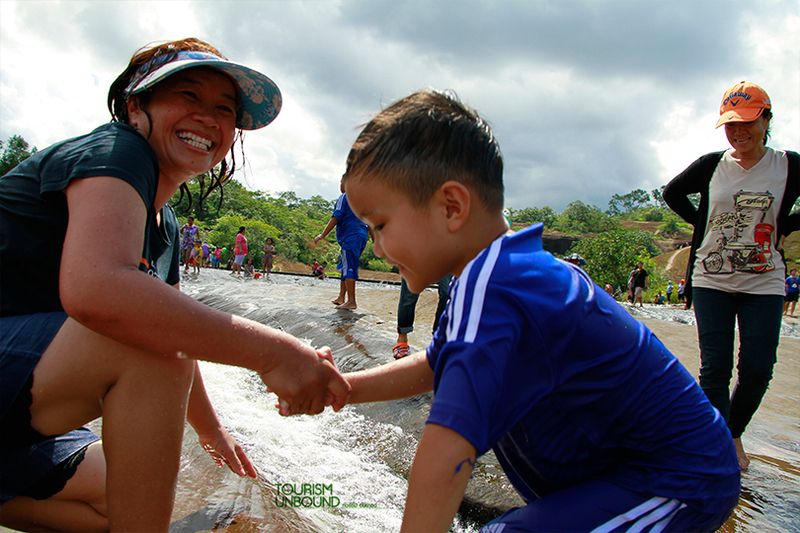 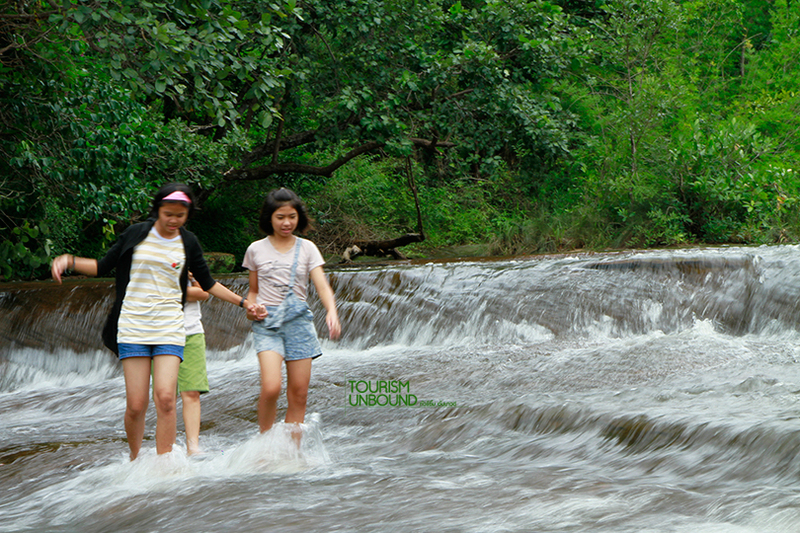 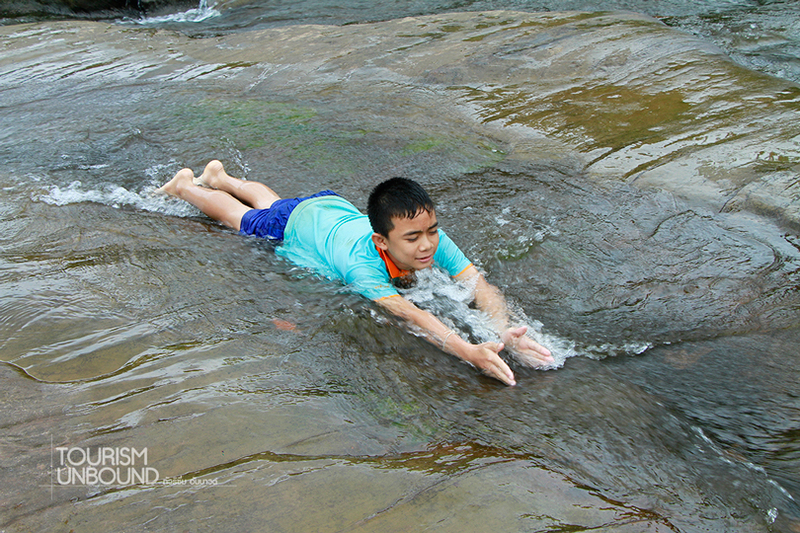 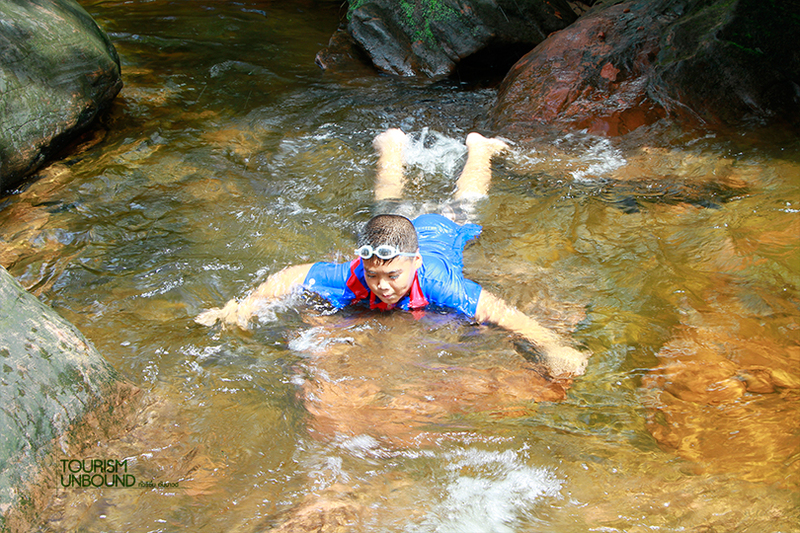 It took only 24 kilometres to get to the first waterfall Phu Tham Phra Waterfall or Tham Phra Phu Wua Waterfall. 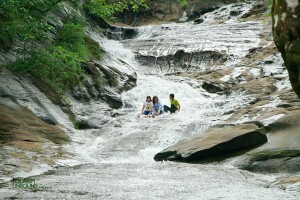 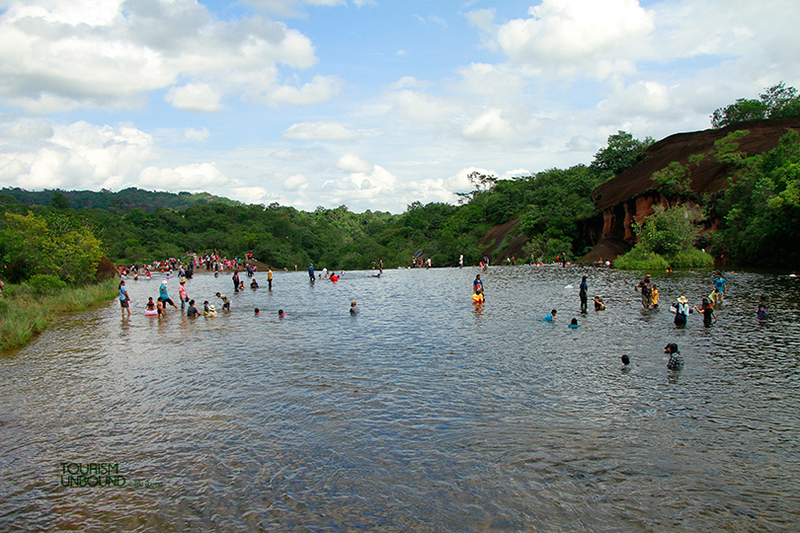 There is a wide stone terrace under the waterfall where young kids slid down and jumped into the water. 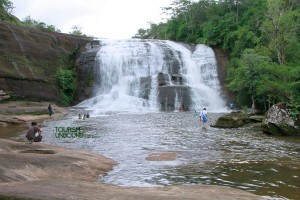 For others who love showers, climbing up the higher level and standing under the water that keeps falling onto their heads was like staying in the paradise. 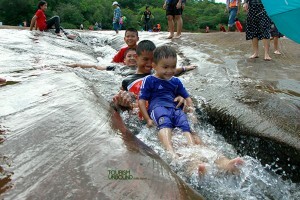 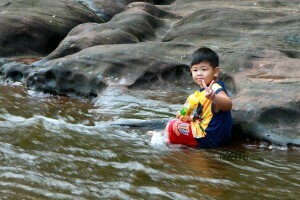 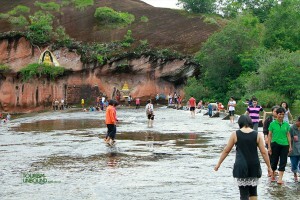 This place is called Tham Phra Waterfall because there was a big Buddha image at the edge of the red sand stone cliff. 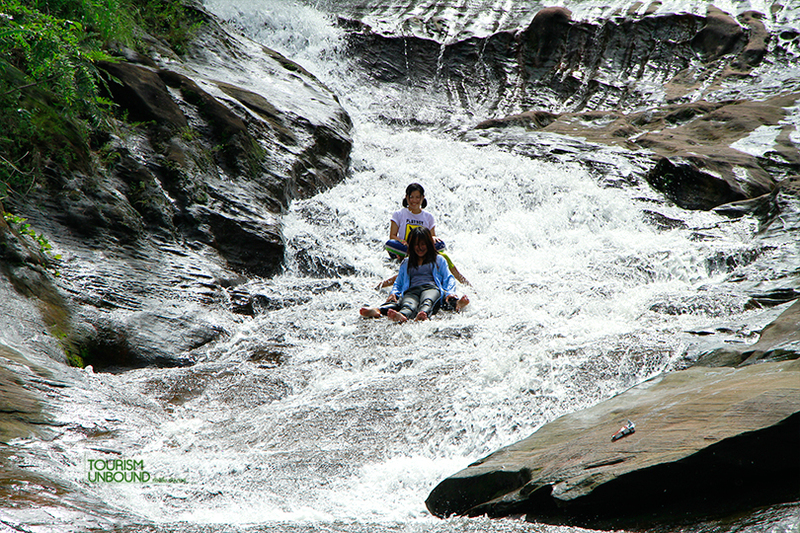 What makes this waterfall even more impressive is that you will have to ride a boat along Huay Bang Bat canal where you can enjoy the green frees on both sides deep into the woods and then walk another 500 metres to get to the waterfall. 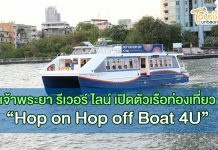 The boat ride is only 20 baht. 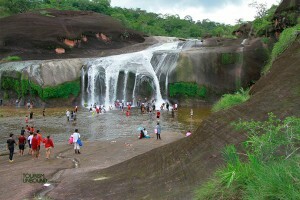 The second most interesting waterfall is Jet Si Waterfall (seven-color waterfall) which has 4 levels. 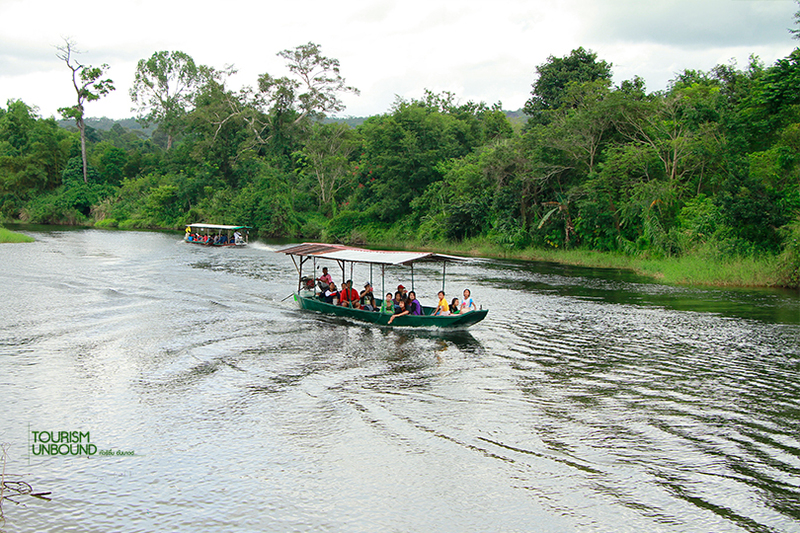 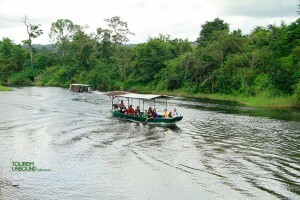 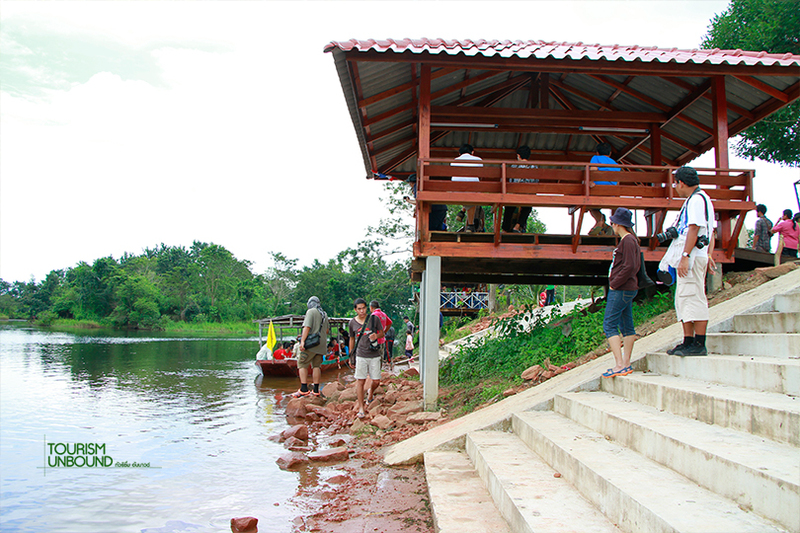 The 1.5-kilometre walk is quite a good exercise for visitors. 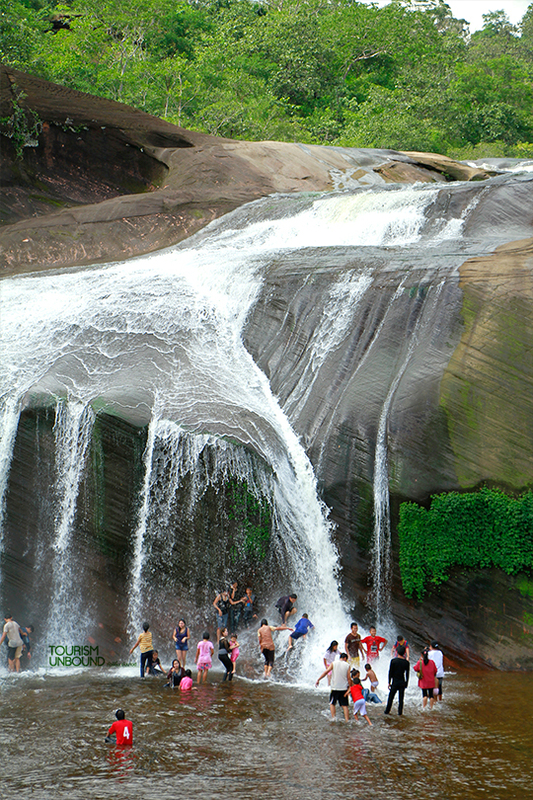 When the water falls from a very high cliff and the water sprays reflect the sunlight to create fantastic colors, which is how the waterfall gets its name. 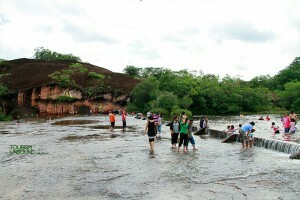 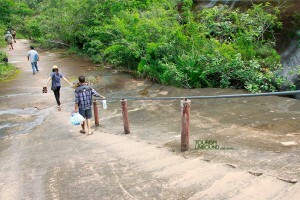 After heavy rain, the path to the waterfall will be flooded and the Phu Wua Wildlife Santuary will close it down but allows visitors to swim at the lower level. 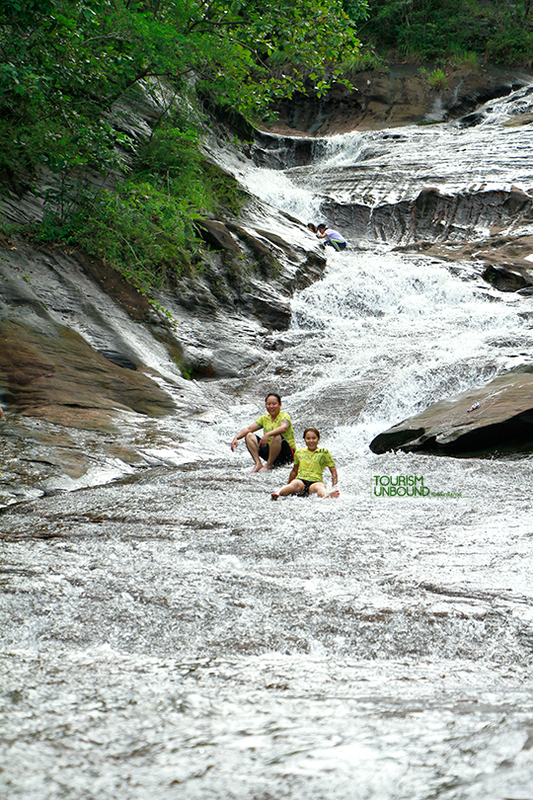 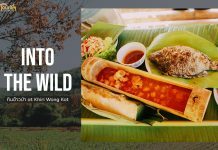 The third waterfall is Tham Foon Waterfall which is very convenient as the parking lot is only 200 metres away from the waterfall. The water flows down from the wide sand stone cliff to make a nice waterfall. 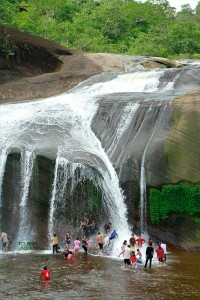 The water will fill the waterfall only in the rainy season. 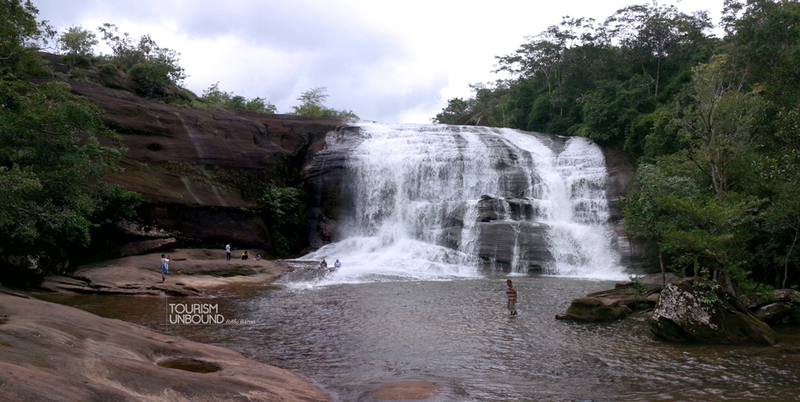 The waterfall is opened only on Saturday and Sunday and public holidays from 8.30-16.30 hrs. 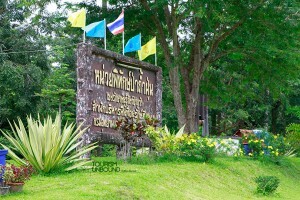 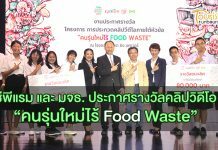 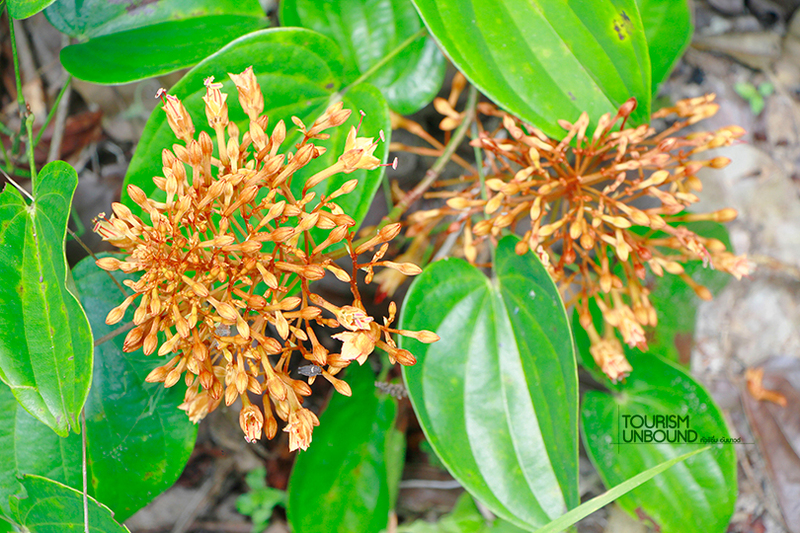 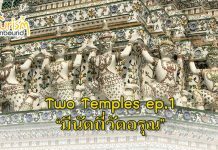 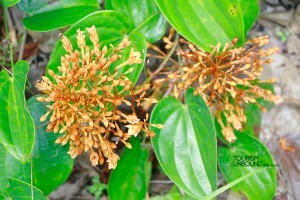 Entrance fee is not fixed but on volunteer basis and just enough for the caretaker to take care of the place. 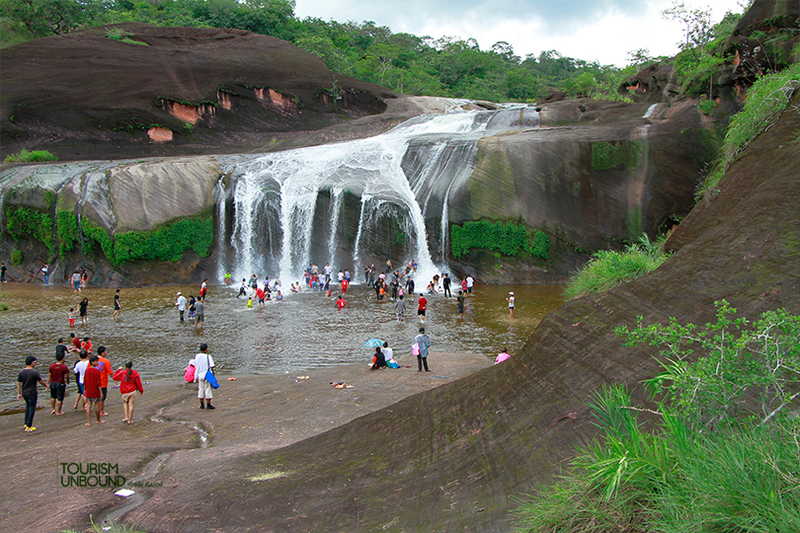 The last one is Cha Nan Waterfall (cha-nan is a local word means the most beautiful). The waterfall is quite wide and water is pretty strong flowing down level by level. 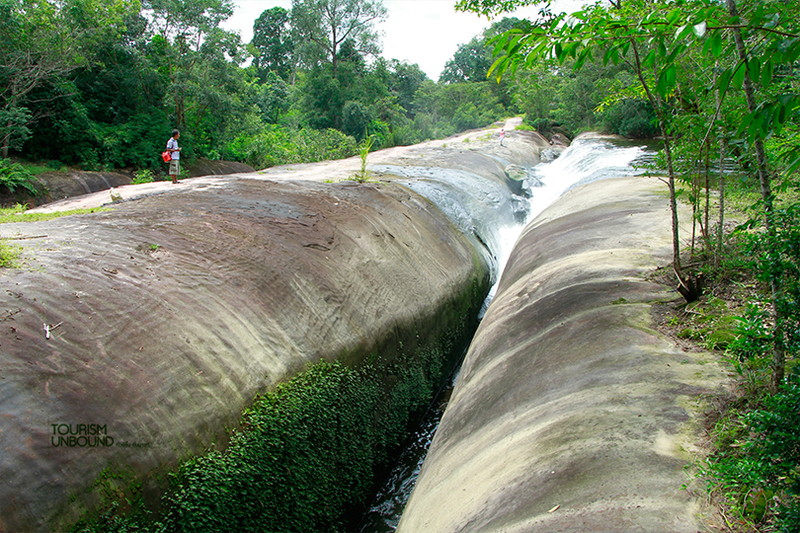 Before you reach the waterfall, you will find a stone bridge, a natural creation where the water flows under the rock that forms a 100-metre long stone bridge. 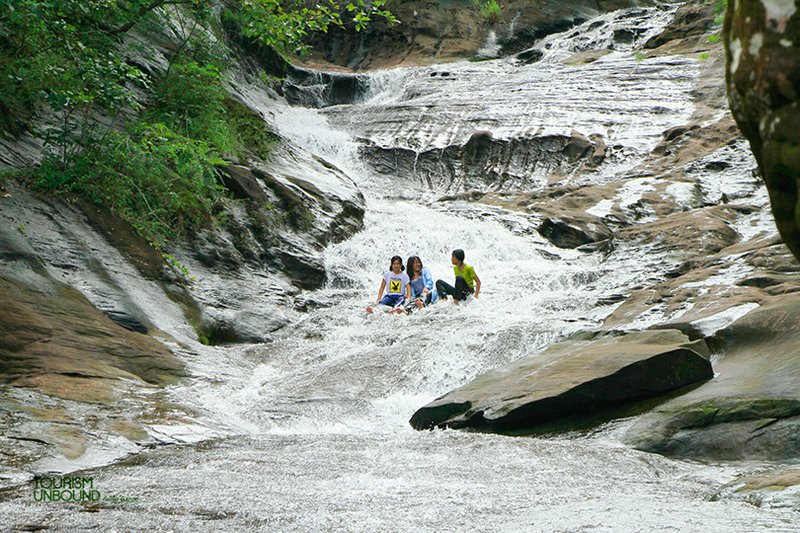 To go to Cha Nan Waterfall, one would only have to ride a four-wheel drive vehicle. 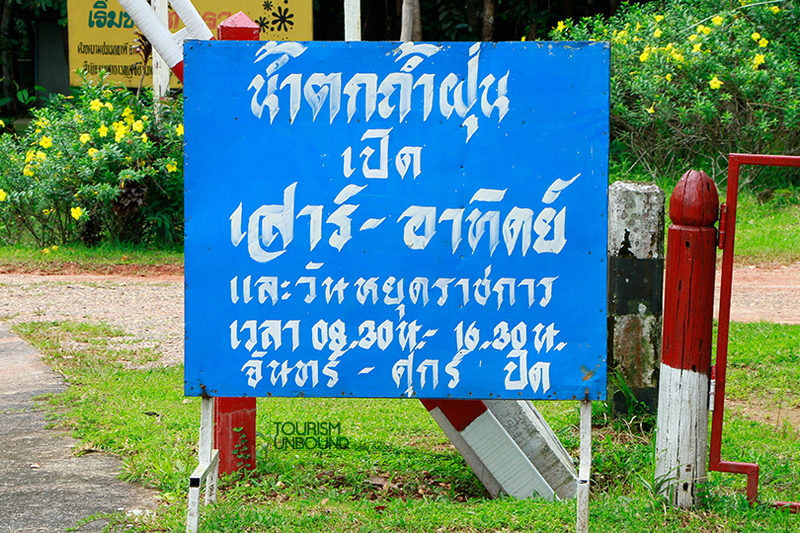 From Wat Pa Phu Wua, one would have to drive for 1.5 kilometres and walk for another 500 metres. 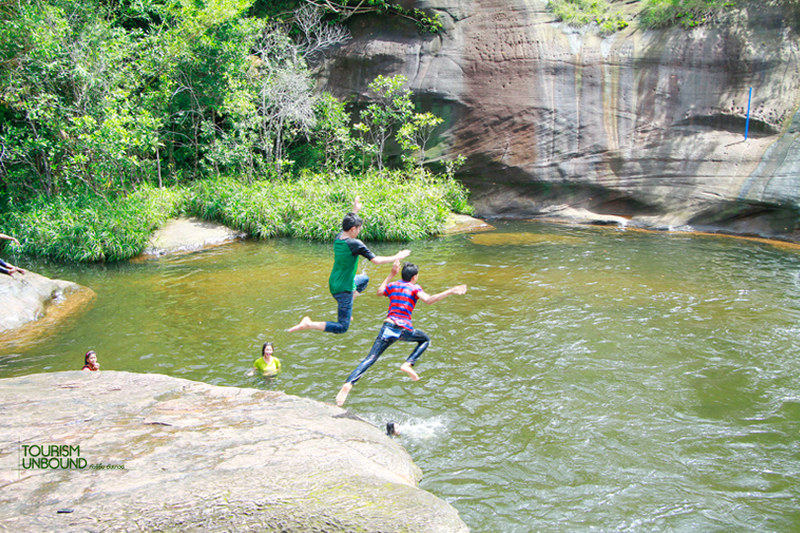 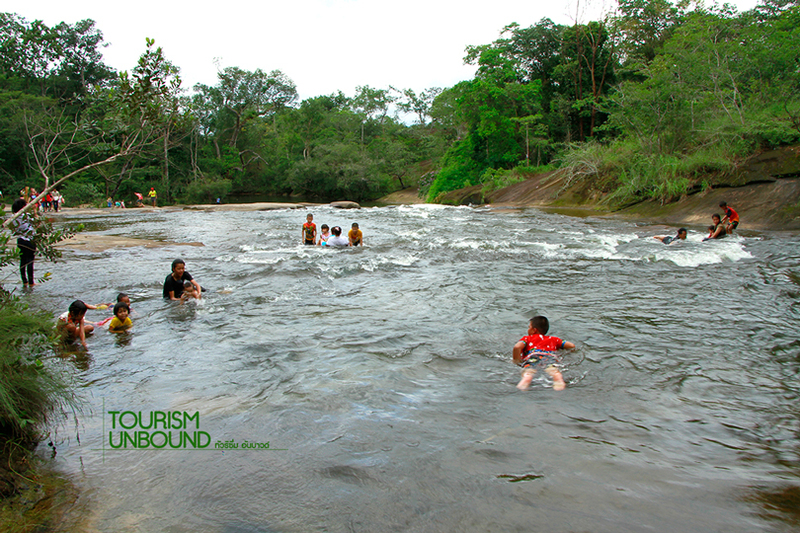 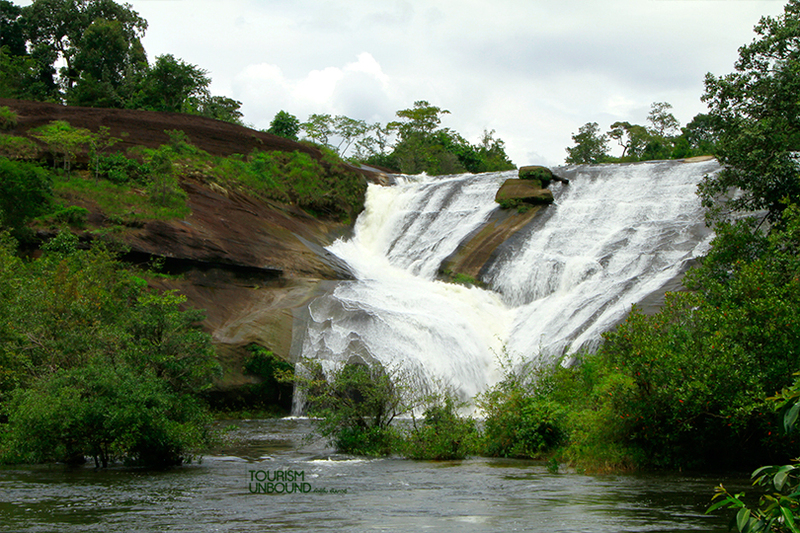 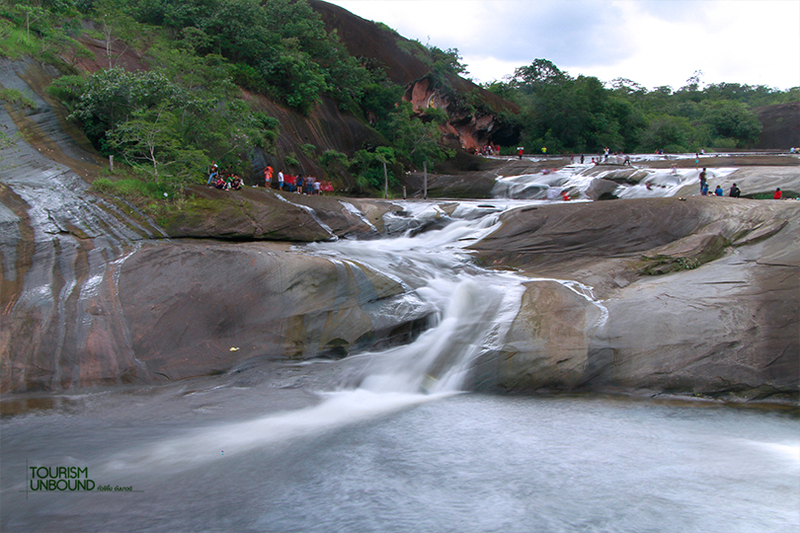 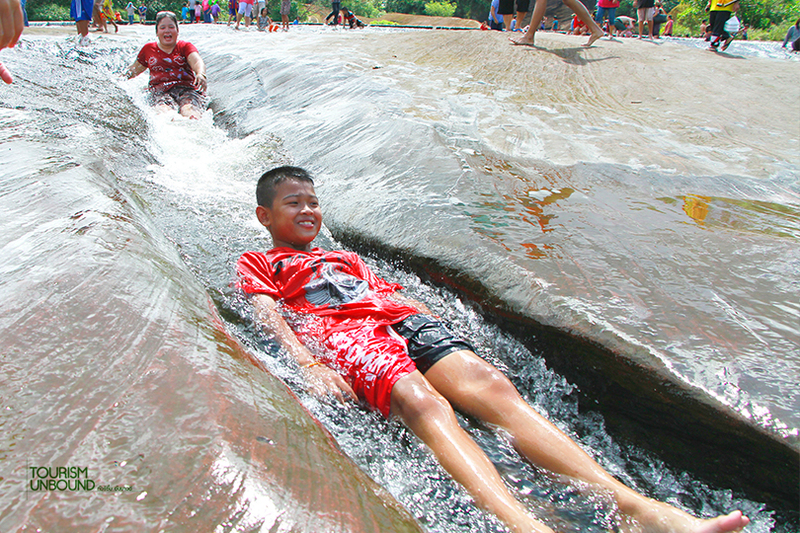 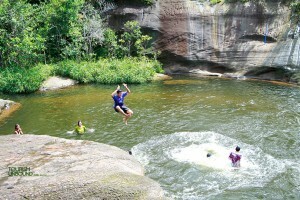 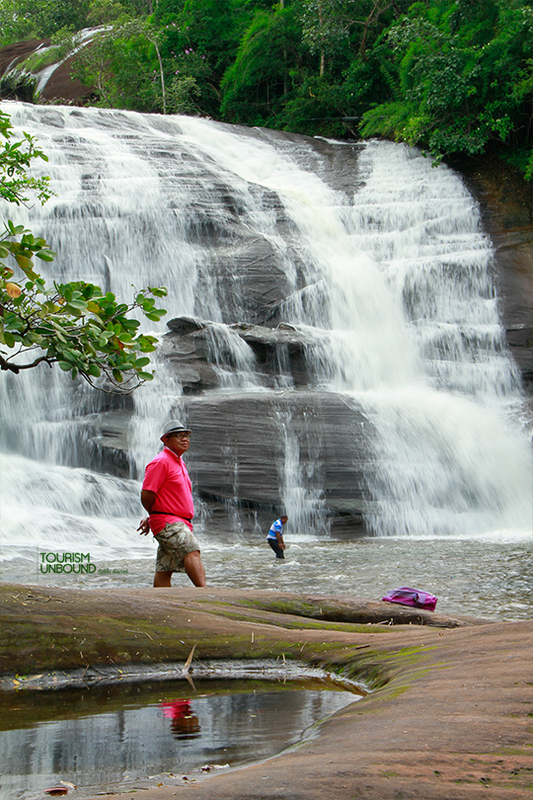 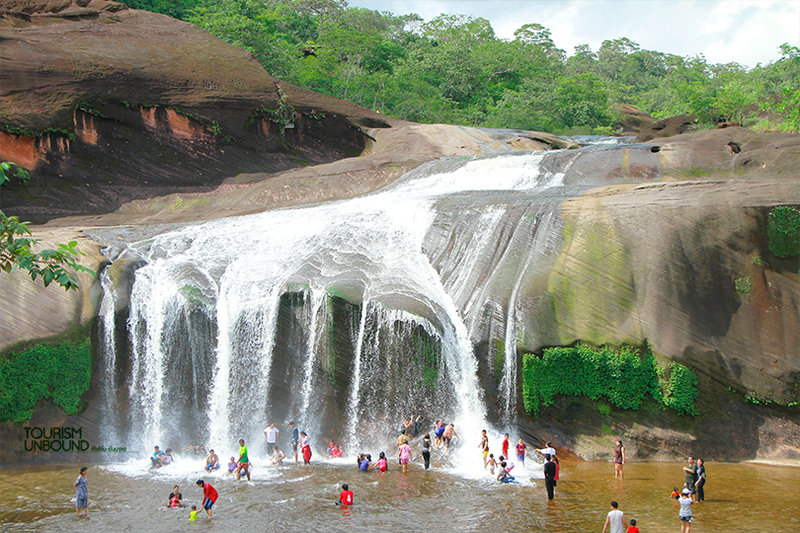 The waterfall is not yet popular among general tourists but very much a popular destination for adventure tourists. 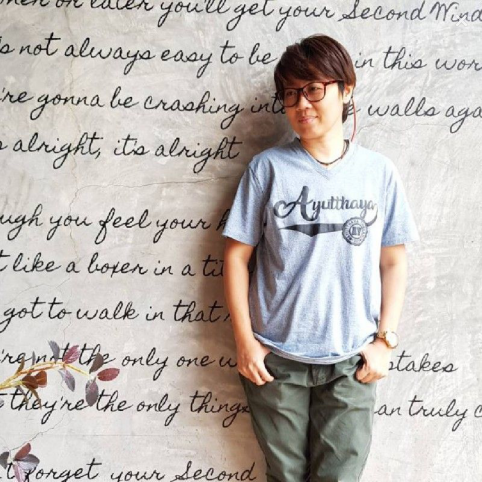 Well, if you don’t really know where Bueng Kan is, think of Nong Khai. 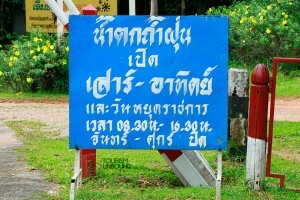 This new province was separated from Nong Khai, the province on Mekong River, in 2011. 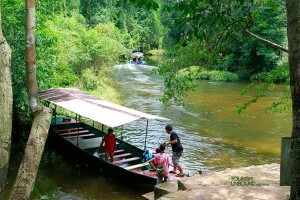 And, the view by the river in Bueng Kan is also impressively beautiful. 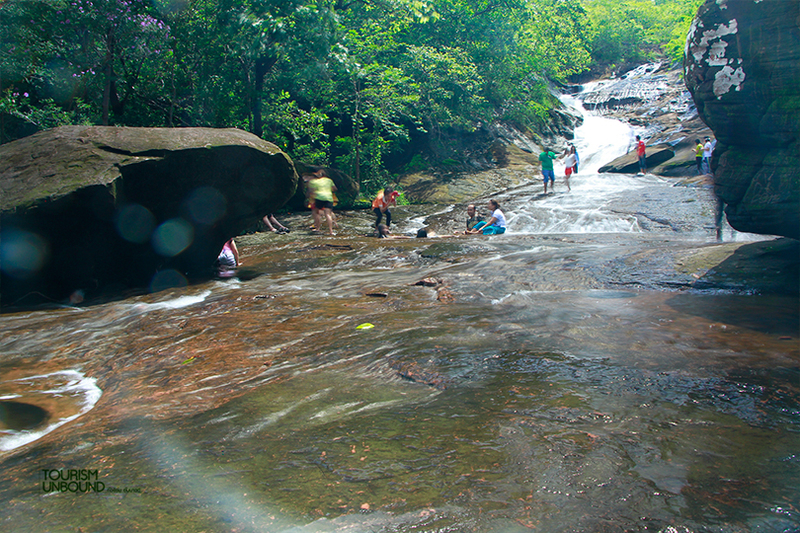 We have seen big smiles and lovely families picnicking by the waterfalls, heard laughs from young kids swimming in the water and been impressed with how people take good care of the nature by picking up wastes and garbage back home. 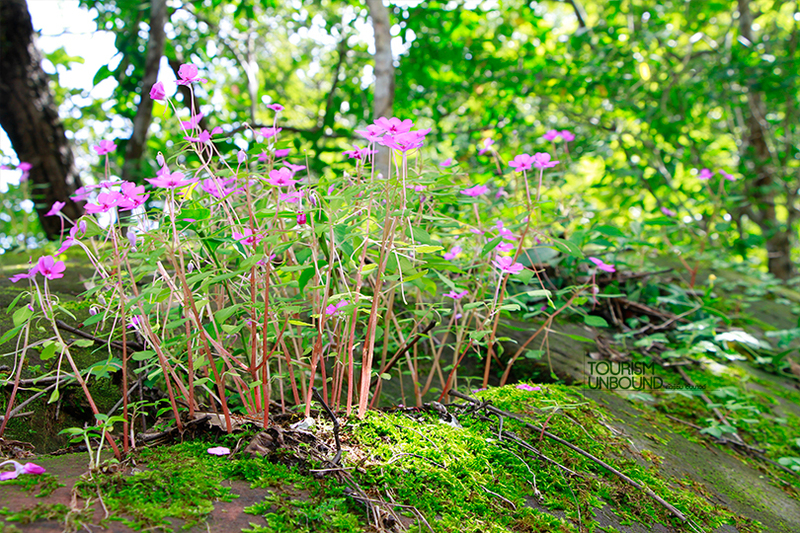 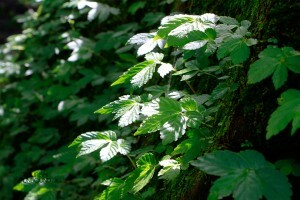 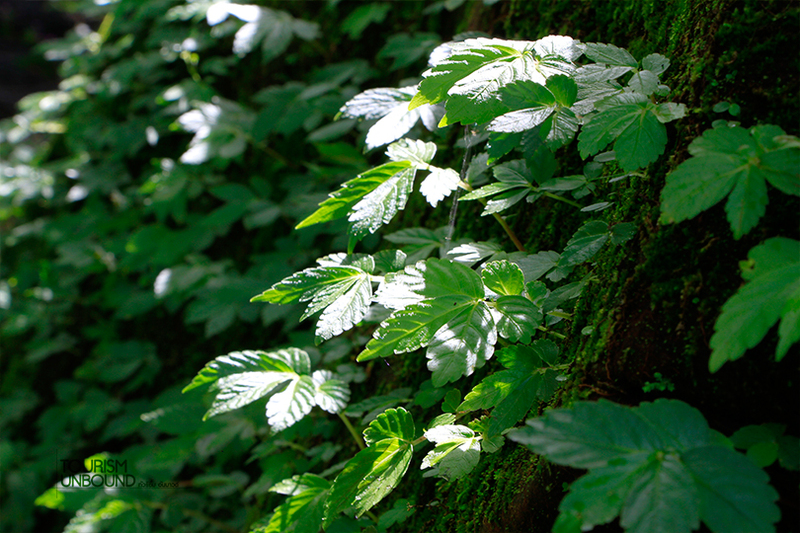 They leave behind only the clean nature for others to appreciate.